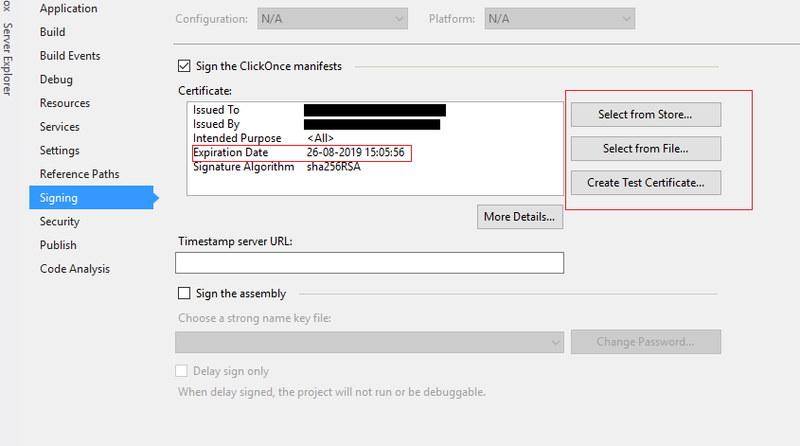 Error 2 An error occurred while signing: Failed to sign SignTool Error: No certificates were found that met all the given criteria. Earlier it was working fine. I) Create a new certificate and select from file. II) Create a new wpf project and copy the certificate from the root project folder and paste in the current project and rename it.